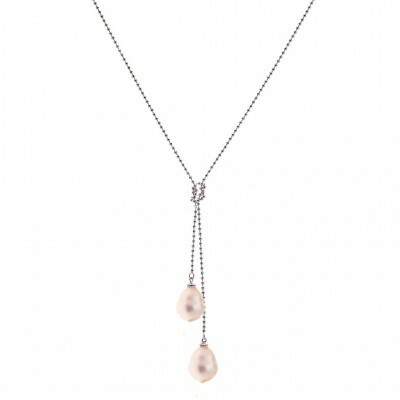 The Robina bridal necklace is a soft and elegant pearl necklace with a contemporary feel. 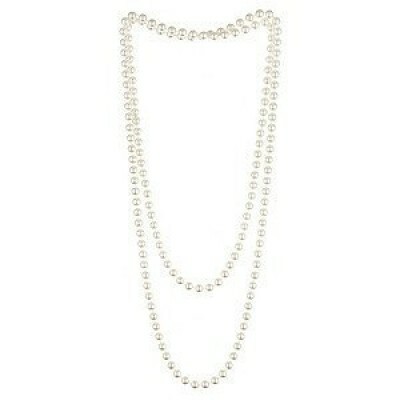 Features a fine ball chain and two baroque-shaped shell pearls. 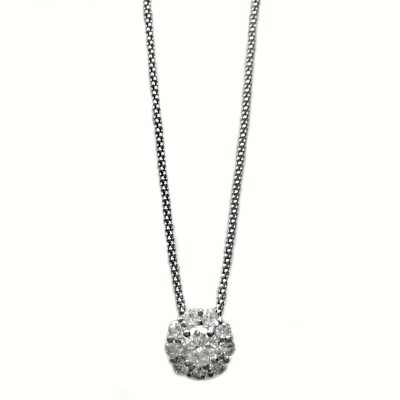 This delicate piece makes the perfect finishing touch to any outfit, from bridesmaid dresses through to work attire. ..
An oversized pearl necklace strand composed of faux off-white pearls Suitable for brides, mother of the bride, or any formal occasion Classic, timeless and elegant Can be wrapped around the neck up to 3 times Measures 160cms long Hand-knotted in be.. 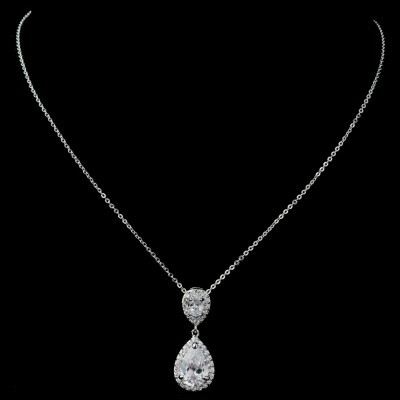 The Florence bridal necklace is a feminine and pretty necklace that belongs in every jewellery box Composed of .925 Sterling Silver + AAA-Grade Cubic Zirconia Heavily plated in white-gold rhodium for the look and feel of real diamond jewellery Perfect for classic b.. 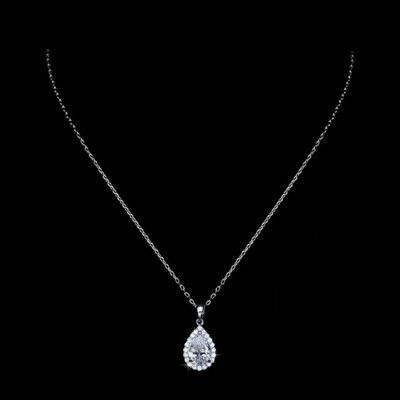 The Honor bridal necklace is a classic design that belongs in every jewellery box Composed of .925 Sterling Silver + AAA-Grade Cubic Zirconia Heavily plated in white-gold rhodium for the look and feel of real diamond jewellery Perfect for classic brides, bridesmaid.. 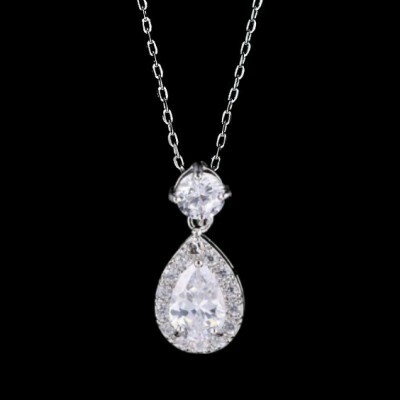 The Iris bridal necklace is a classic design that belongs in every jewellery box Composed of .925 Sterling Silver + AAA-Grade Cubic Zirconia Heavily plated in white-gold rhodium for the look and feel of real diamond jewellery Perfect for classic brides, bridesmaids..
A bridal necklaces is the essential finishing touch for classic brides and those wanting to enhance their neckline. 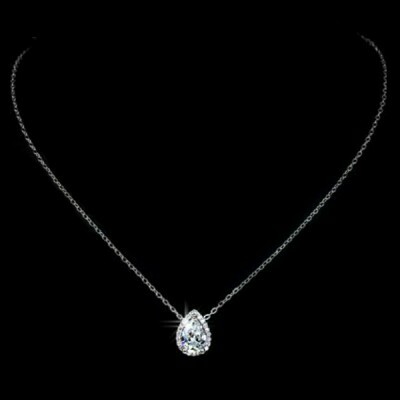 Focusing on timeless and versatile designs, our bridal necklace collection compliments all of the bridal jewellery pieces in our range. Simply mix and match your favourite bridal necklace with one of the premium bridal earrings and bridal bracelets on our website. 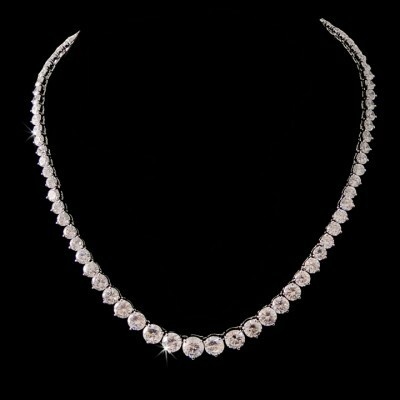 And because our bridal necklaces are classically-designed and carefully crafted, you can enjoy wearing them time and again for many years to come. 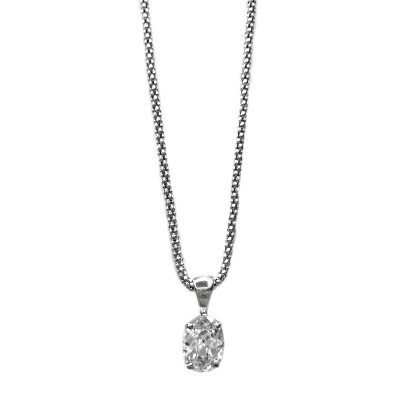 All of our necklaces feature premium materials and stones, such as cubic zirconia and Swarovski Crystal guaranteeing a luxurious look and that feels fantastic to wear. 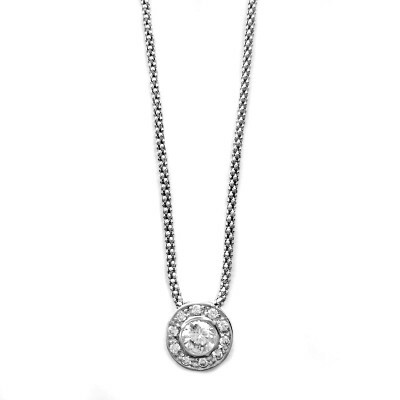 Start browsing our online jewellery store now for the perfect piece.